Your marble or natural stone floors create a positive first impression for you, your business, and the products or services you provide. Maintaining the appearance of your floors is of the utmost importance, because they reflect a high standard of professionalism to employees and guests or patrons. Proper maintenance entails more than just repolishing. 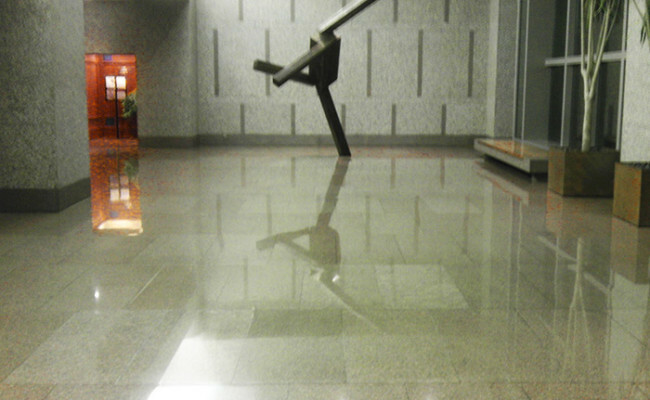 Our skilled technicians, trained in commercial maintenance processes, have the knowledge and experience to properly maintain this granite lobby floor. For this client, we set up a monthly schedule during hours that ensure minimal inconvenience to their employees, guests, or patrons. With our well-planned maintenance program, this floor always looks like new, even with heavy traffic and usage. 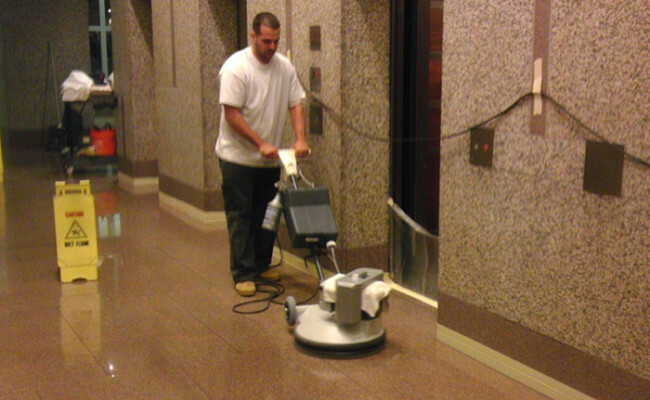 Do you need commercial floor maintenance services in the Philadelphia and Delaware Valley area? Use our online contact form or call (610) 356-4100 today for a FREE estimate.